Assessment Centre (AC) is formative assessment programme offered by Core Education and Technologies Ltd. It is used to design, administer, and report the results from school, district, or state lavel formative assessments. AC provides premier formative assessment solution that boasts of features like customisable and scalable architecture, comprehensive item bank, assessment creation to surface deficiencies in academic performance. The heart of Assessment Centre is its online platform. Drawing from question bank of over 250,000 educators. It can easily create tests that are highly effective. 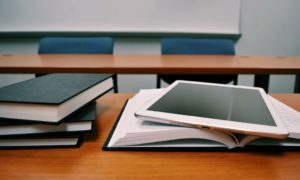 Teaching gets administred online via paper/scanning protocols or clicker technologies, and the data is received through a variety of insightful reporting machanism. Challenges: Training users across all the schools was a voluminous task. CORE adapted the online tutorial methodology to provide training and support. LearnSmart India Pvt Ltd has developed an application called 24x7guru.com, which is based on the fundamental believe that once a student understands the concepts, he is less likely to forget the ideas, whereas rote learning can lead to knowledge that fades out of the mind quickly. Its web-based assessment applications enable a student to take tests as per the course curriculum. Challenges: The key challenge was in trying to change the thinking pattern of assessments, as far as the traditional three hour exams are concerned. This challenge was overcome through the conduction of seminars and presentations. Another issue being faced was the issue of Internet connectivity in rural and semi-urban schools. This challenge has been overcome through the installation of servers in schools. Then there is the issue of electric supply, which only the major power players can address. But we have tried to take care of this problem to a large extent through the introduction of Green Labs. Aptech is the solution provider that offers solutions like design and development of Question bank and Question Paper, Online Applications capture and Processing, and Online and Offline Fee collection and Processing. The solution also includes preparation of Examination Venue in 61 cities and 68 exam centres across India for Conducting Online test, Preparing Merit List and Score card. Challenges: The problems we faced were mainly related to the lead time for project execution. There were also issues related to training and deployment of resources. The seamless integration of modules was a challenging task by itself. Controlling the costs of the operation was also a challenge. Lodhari technologies have created a fun learning environment for students. Mytestbuddy’s Collaborative Learning Platform is web-based, engaging and effective methodology of studying, wherein a student provides inputs to which his peers and professors can respond. This leads to engagement in a healthy learning interactive place. 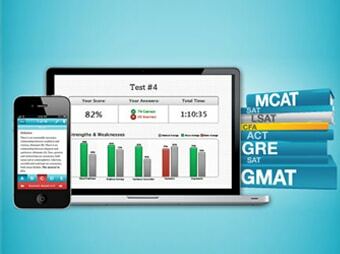 Mytestbuddy helps prepare students for standardised tests, including the SAT, AIPGME, GMAT, GRE, CAT, AIEEE AND IIT- JEE. Mytestbuddy plans to provide comprehensive curriculum for preparation of these examinations and tutorials in future. Challenges: While introducing mytestbuddy.com in schools for AIEEE and AIPMT, the team found it difficult to convince teachers about the benefits of the solution. 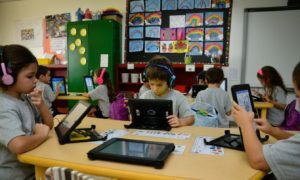 The teachers needed to be convinced that the website will serve as a portal where teachers can login and see how their students are progressing. SARAS Assessment Management System is a platform that delivers test assessments online to authors, in test centres, on standalone computers or mobile devices. It is being used in different educational segments like K-12, higher education, test preparation, e-learning for formative, diagnostics and high stake exams. It helps businesses reduce the time that it takes to hire quality candidates with the help of pre-recruitment tests. 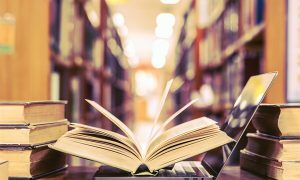 It also helps in test preparation for companies to discover weakness areas of students with the help of diagnostic tests and generate personalised learning paths. It helps teachers deliver formative and diagnostics tests after each class to improve their instruction. Target Group: K-12 schools, Higher Education Institutions, Corporates/Enterprises, Govt bodies, Educational & Test Publishers. Challenges: Initially the cost of the system was high, as the company was following an annual license model. With the help of cloud computing, they were able to bring down the costs to meet the demands of smaller customers.